A new production still from Alien: Covenant has been released. View it in full HQ in our gallery! The official Alien Anthology Twitter account shared a teaser image for Alien: Covenant featuring Michael. The release date of Ridley Scott’s “Alien: Covenant” has been moved to an earlier date. Originally, the sequel to the 2012 chilling movie “Prometheus” was scheduled to hit theatres on Aug. 4, 2017. Now, the movie, previously titled “Prometheus 2,” will release on May 19, 2017. “Alien: Covenant” begins where “Prometheus” left off with Michael Fassbender’s synthetic David still living on the strange planet. He was one of the two characters to survive the voyage from the first movie. The crew of a colony ship named Covenant travel to what they believe is a remote planet on the far side of the galaxy. They believe that the planet is uninhabited but then they come across an android called David. 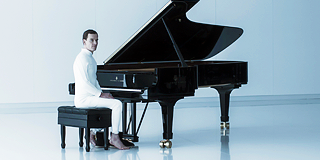 David won’t be the only robot in “Alien: Covenant.” Fassbender will also play an android known as Walter who is more advanced than David and assists the Covenant crew on their voyage to this distant planet. Katherine Waterston stars as Daniels, a crew member of the ship. Danny McBride plays the role of the pilot of the ship and Noomi Rapace reprises her role as archeologist Dr. Elizabeth Shaw, the only human crew member who survived on the destroyed Prometheus ship. Billy Crudup, Guy Pearce and Jussie Smollett also star in this sequel. Collider: The last few years you’ve been very fortunate. What it’s been like for you being able to work with these such talented actors, talented filmmakers, and be a part of these great projects? MICHAEL FASSBENDER: It feels good. As an actor, it’s always been good to be working at all, so to be working with this kind of outburst of talent and people that I’ve been working with, yeah, it’s the best. Jumping into The Light Between the Oceans, one of the things I love about Derek’s work is that he really goes for the emotional honesty in all scenes. Can you talk a little about working with Derek and what he was looking for on set? FASSBENDER: I think he’s the sort of director that always pushes to find more in the scene. So even if the scene is barely starting forward – maybe three lines, we could run a take without cutting for 30 minutes, trying to sort of discover new things all the time. I mean, as one of the notes for us as actors was to fail to surprise him, so he’s definitely one of those directors that’s very much at the forefront of his mind. You know, when you finish the day, and you finish the scene, you don’t get a chance to go back to it. So you wanna make sure that everything is left on the floor. I would imagine that you had a lot of choices at that time for projects – what was it about the material that spoke to you to be a part of this? 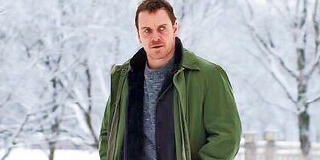 FASSBENDER: I just read the script, and it just fit me and I sort of found the right emotional place. I felt that it was a really beautiful story. It seemed like it was a story that a lot of people could relate to: a lot of ordinary, decent people trying to sort out life choices, and making a choice that was a bad one but they’re good people and they’re trying to deal with the consequences of that choice. I felt like it was a pretty refreshing story and was told in a respectfully old-fashioned way. You know, we don’t get many of these touching films these days. There’s not a villain and a good guy, there’s just the family—and they’re regular people trying to sort of do the best they can in these circumstances. It’s a beautiful love story as well. That’s one of the things I wanted to touch on. One of the really refreshing things was for me, there really was no antagonist. It was just a nice change. For me, looking at it from the outside in Hollywood, it’s harder and harder to make these, you know, personal stories. Have you been noticing that as an actor, that getting a script like this is harder and harder? One of the things I spoke to Derek about yesterday, that really surprised me was that he was editing this for a year. Most filmmakers don’t have that much time to edit. When someone’s editing a project that you’re involved with, how involved do you want to be in the editing room? Or do you sort of say, “just show me when it’s done”? A very short teaser for Alien: Covenant has been released, marking the 365 days until the film’s official release, along with the film’s official synopsis.